WE ARE THE LEADING SUPPLIER OF Canvas Newspaper Bag with Printed Logo. Customization also entertained. Multicoloured Canvas Jacquard Sling Bag. One long cotton dori. One main zip compartment with 1 patch pocket inside. Supplier & Manufacturer of Canvas Bags & Cotton Canvas Bags. Our product range also comprises of Army Tent, Canvas Fabric and Camping Tent and Sleeping Bag. - These can be customized as per client specifications and requirements. 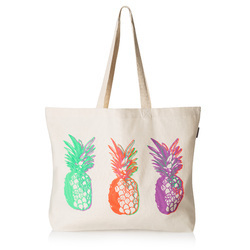 - These Cotton Bags are ideal for carrying shopping accessories and goods, with ease.